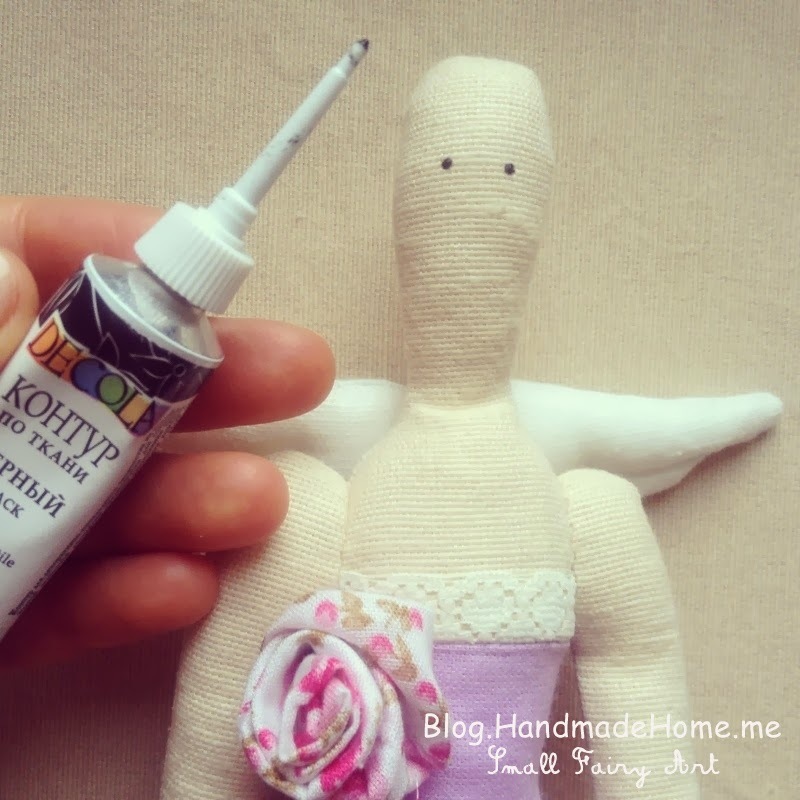 Here I'll try to tell and show how to make this cute Tilda Angel. I made this tutorial extremely detailed. It's contains more then 50 photos! I' hope that will help! 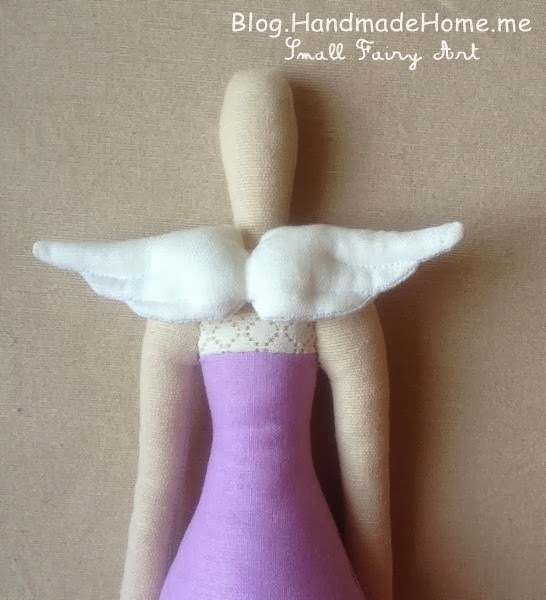 So, I think everyone will be able to sew this nice Tilda Angel. 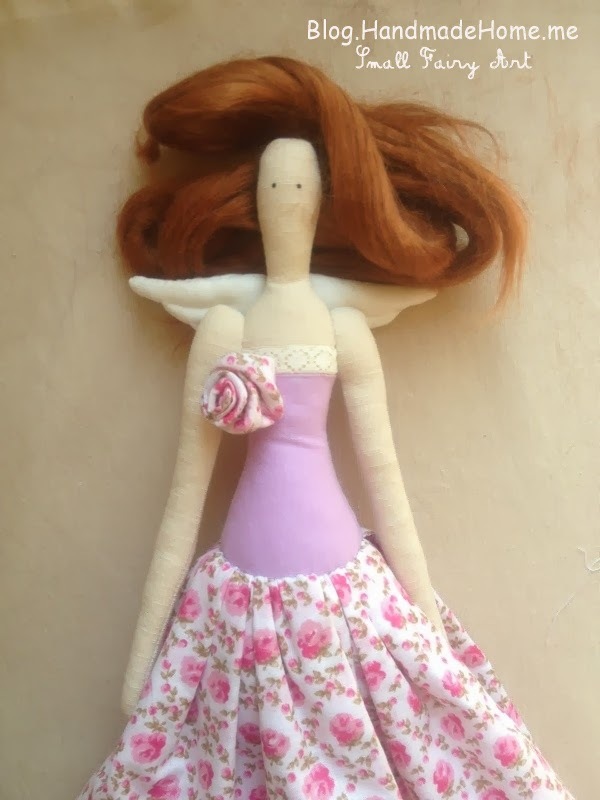 This doll really is a great gift for your loved one, for mum, sister, daughter or good friend! 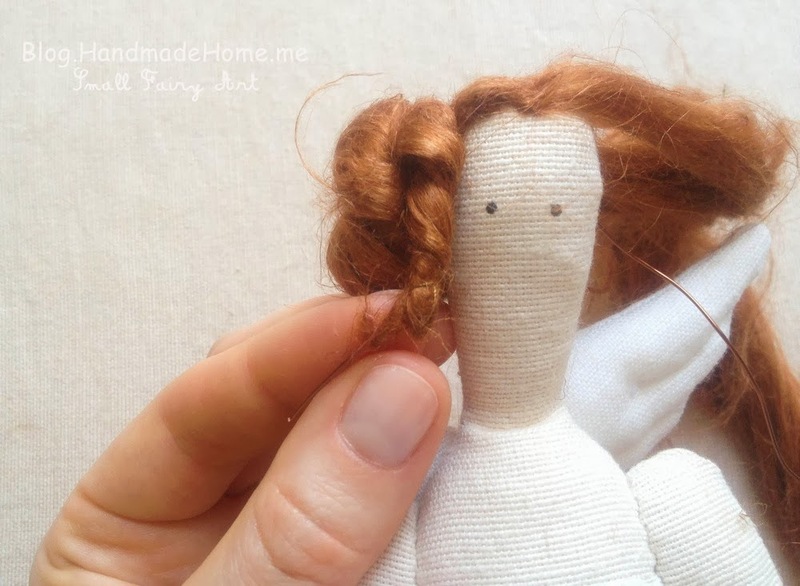 Or maybe you'd like to decorate your own home with Tilda. 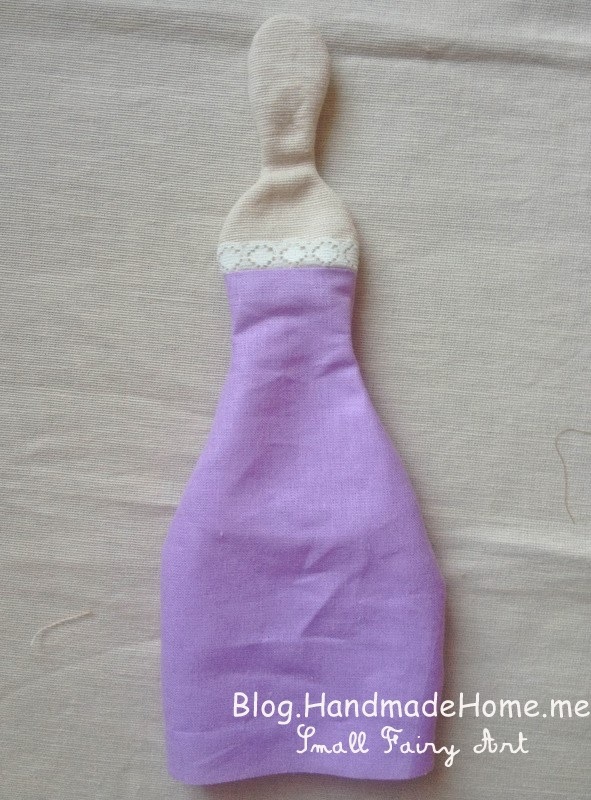 You don't need a lot of fabric. But it will depend on the size of the doll. You can scale the pattern at your discretion. 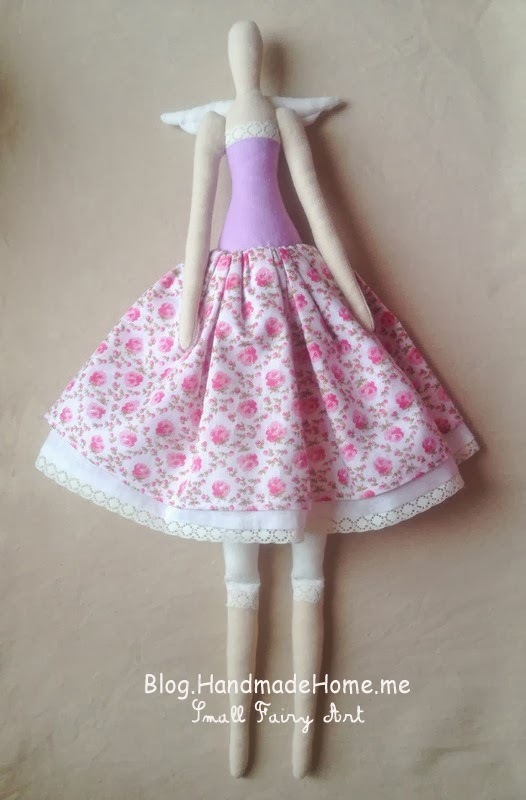 My doll is about 43 cm (17 inches) tall. 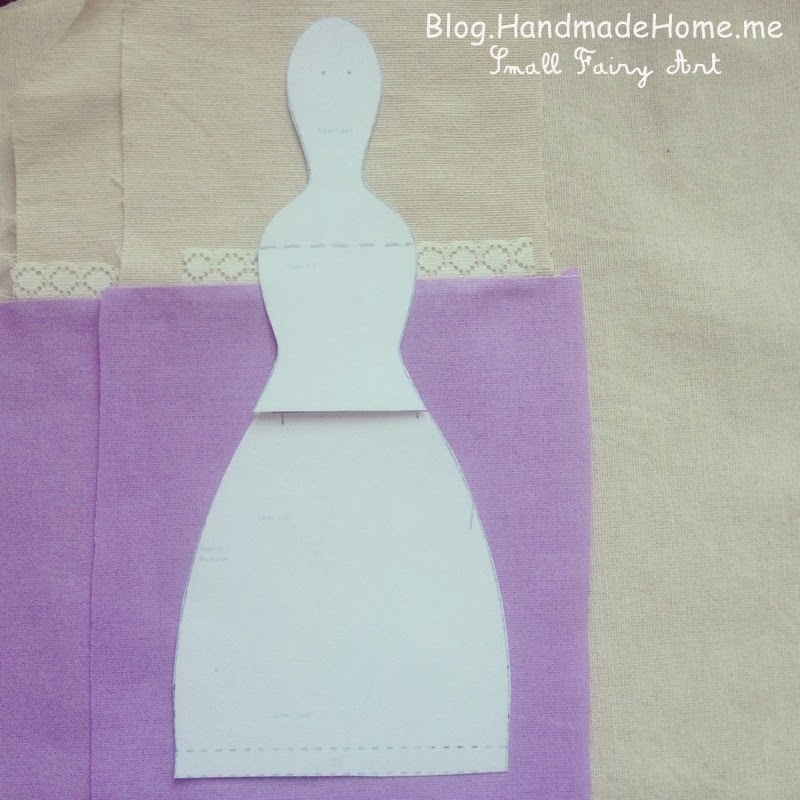 For body piece 40 x 30 cm (16 x12 Inches) will be enough. 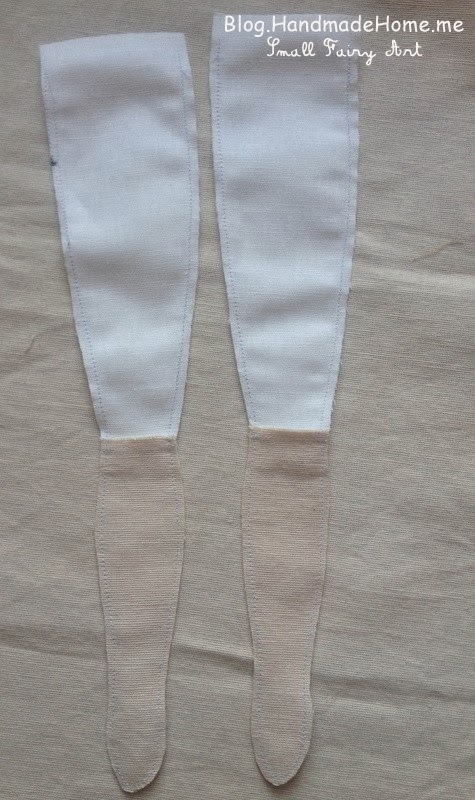 About the same on the skirt, and for the other parts are even less. 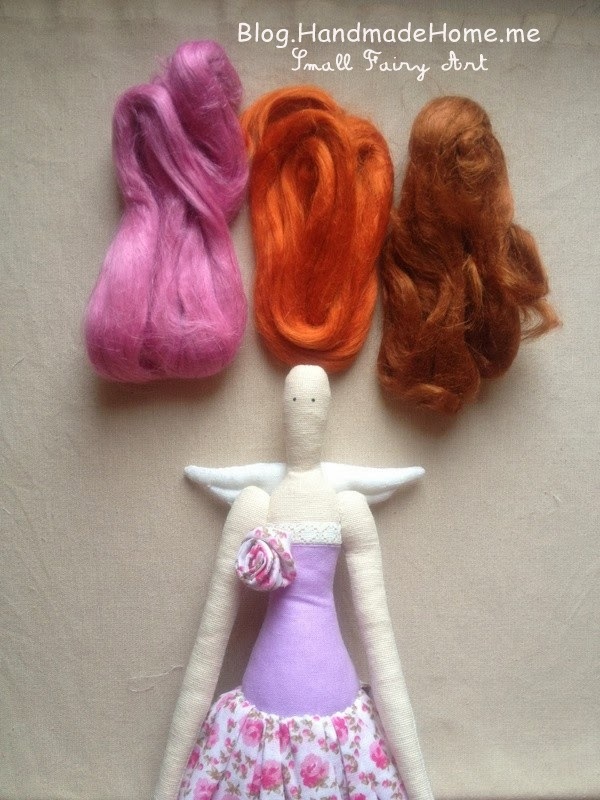 For hair we need the mohair yarn (left) or felting wool (right) . I'll use the first. But any yarn is possible. 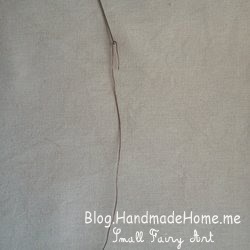 For felting wool you also need a felting needle. 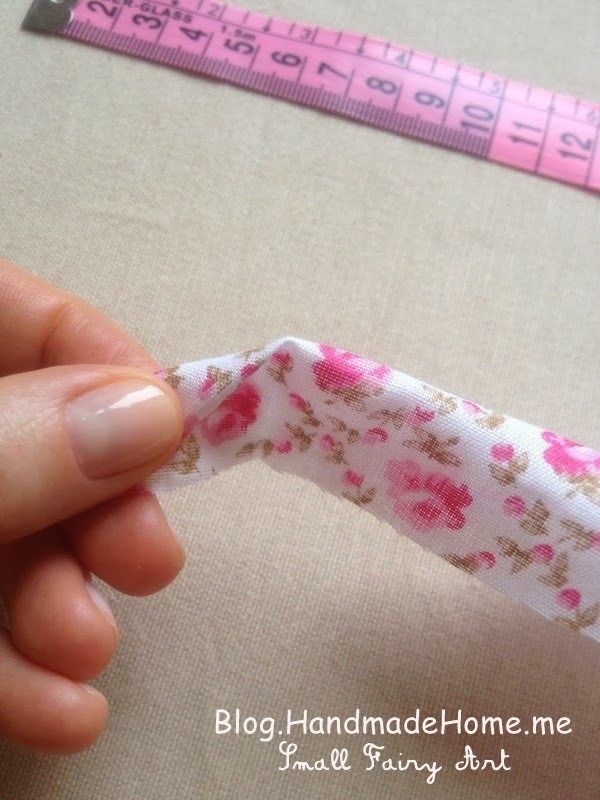 Print the pattern and cut details. 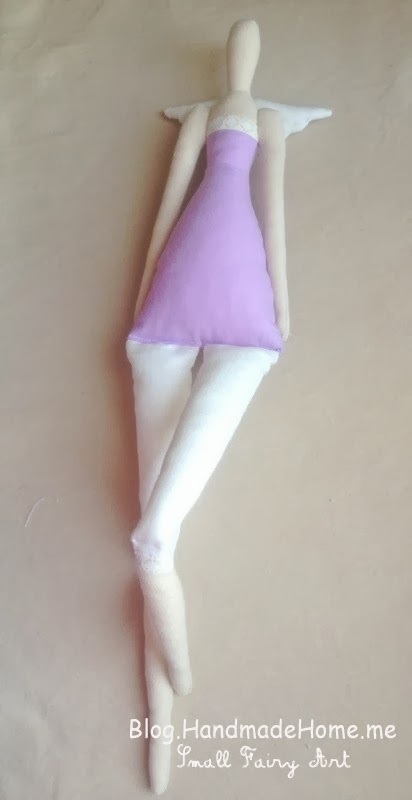 If you print with 100% scale you get 42 cm height doll. You may vary the scale if you want. 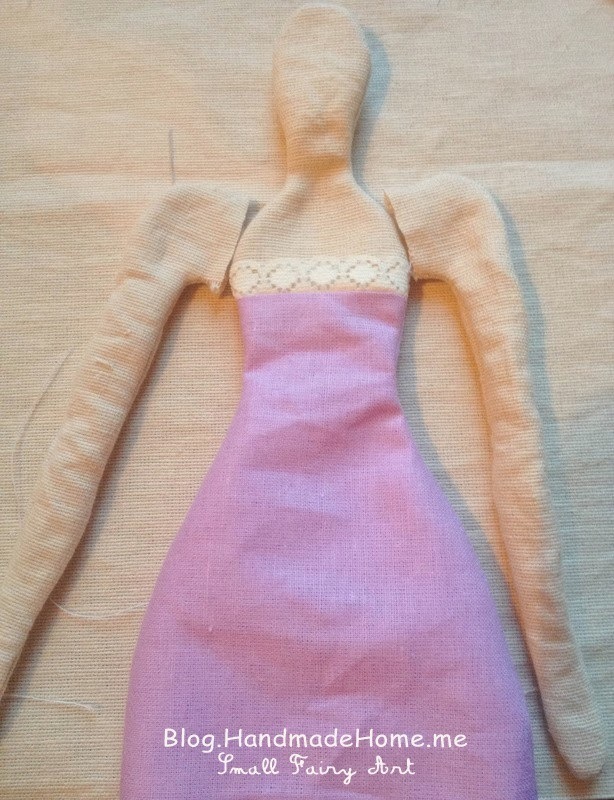 Sew together a patch of body fabric and the top of the dress, placing a lace between them. 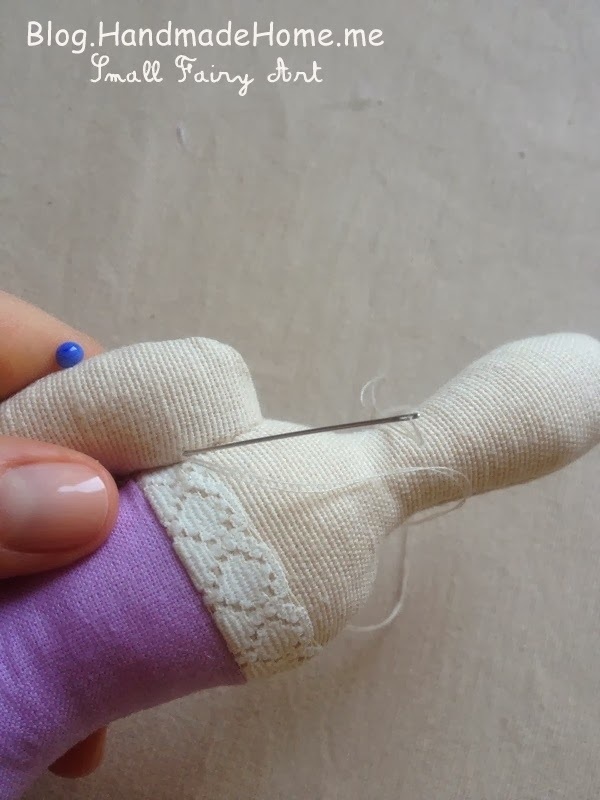 You must place the lace below the dotted line. See the photo. 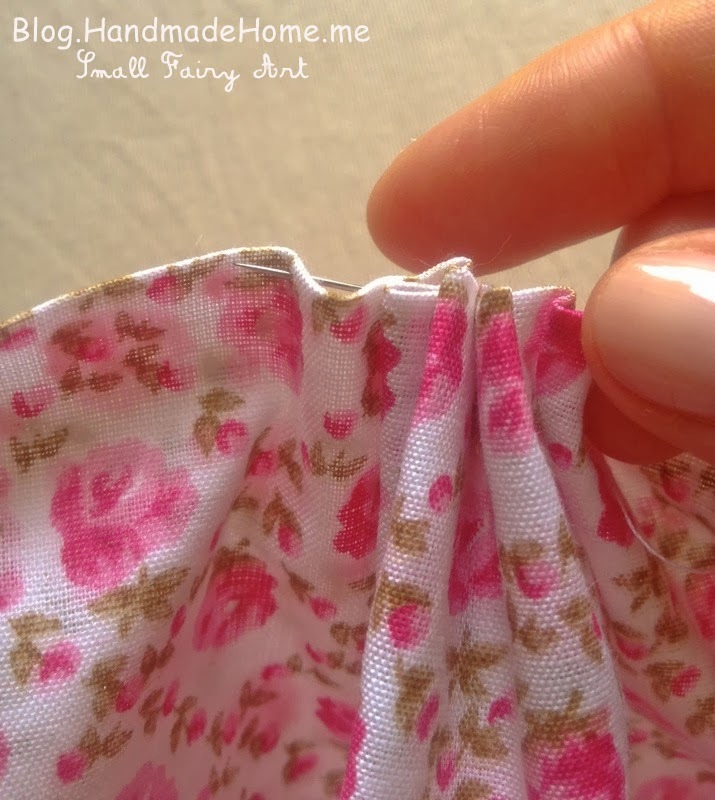 Combine details at the seams and sew together at the pattern line. Repeat the same with legs. 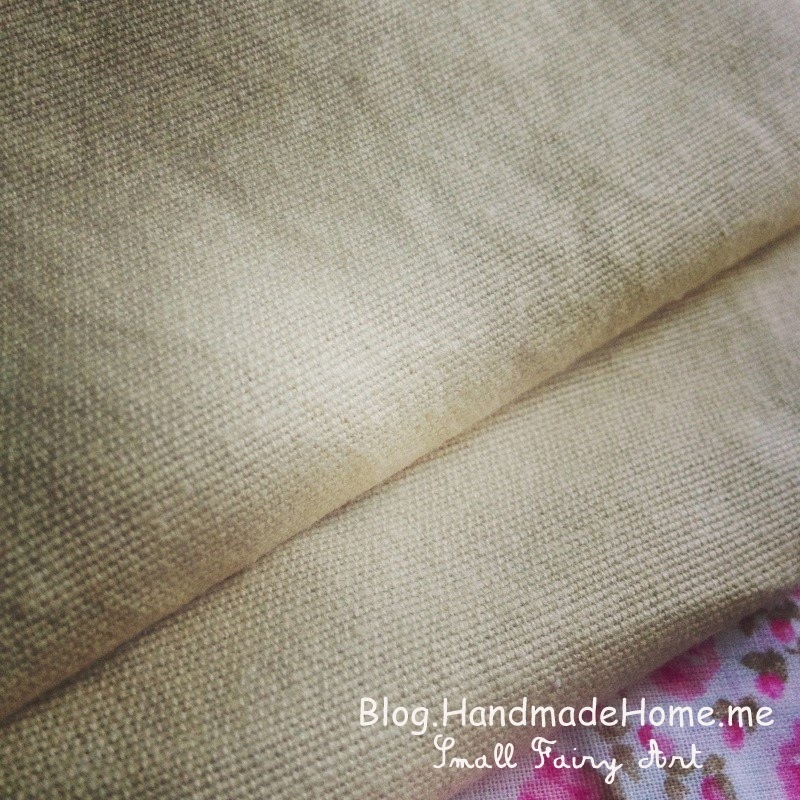 Make two identical rectangular fabric pieces. 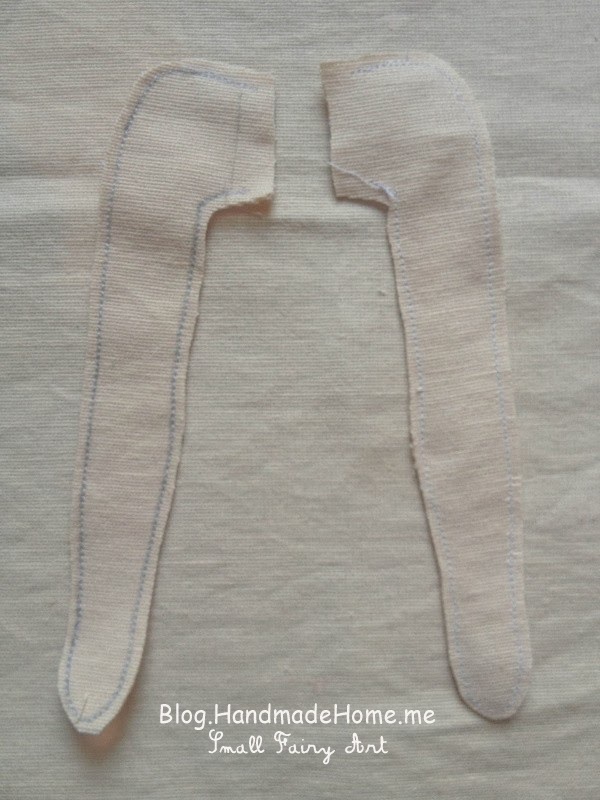 Trousers (leggings) fabric is on the top and body fabric on bottom, place the lace between them. 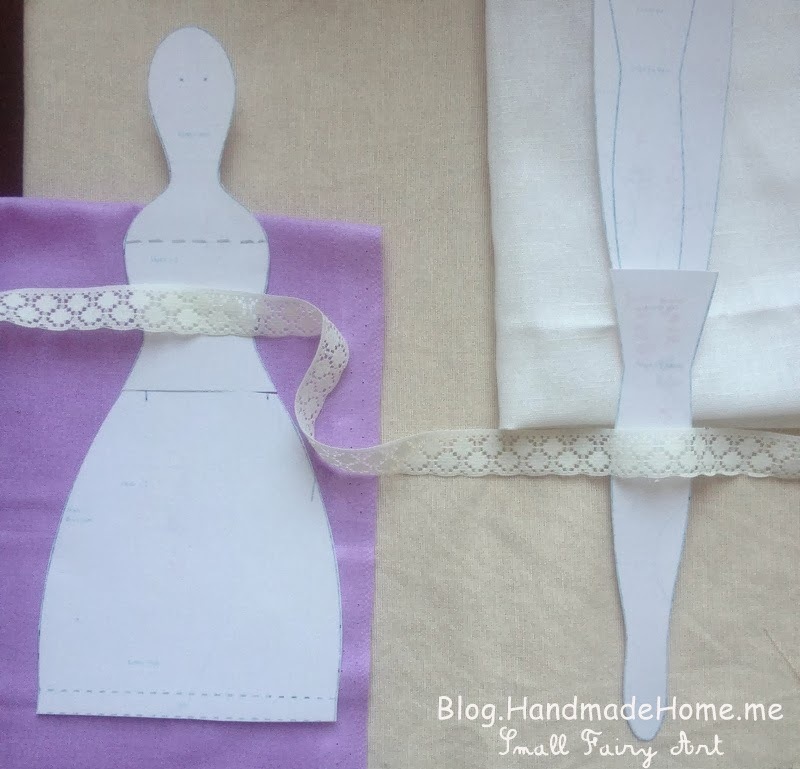 You must place the lace under the dotted line. 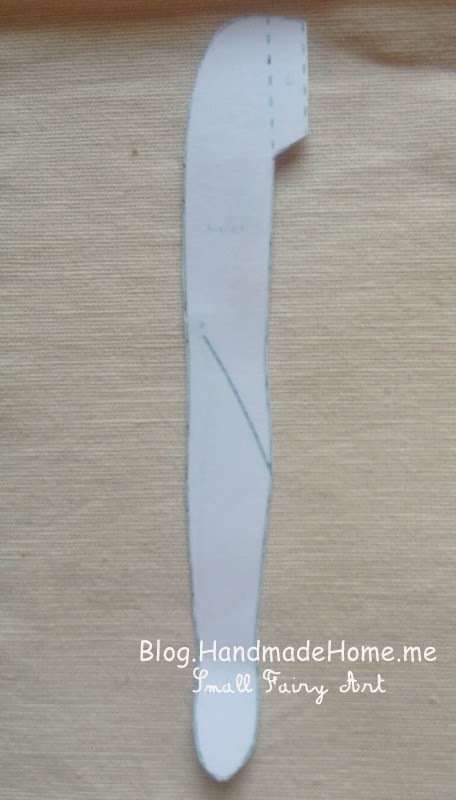 Cut out and turn out to the front side. 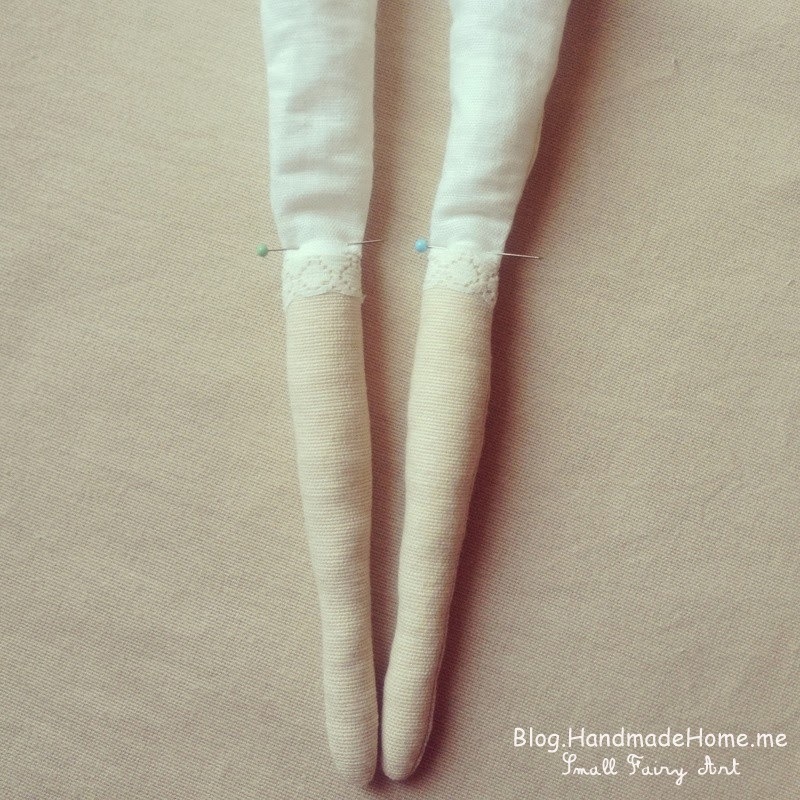 You can use any stick or pencil for turning out the legs. 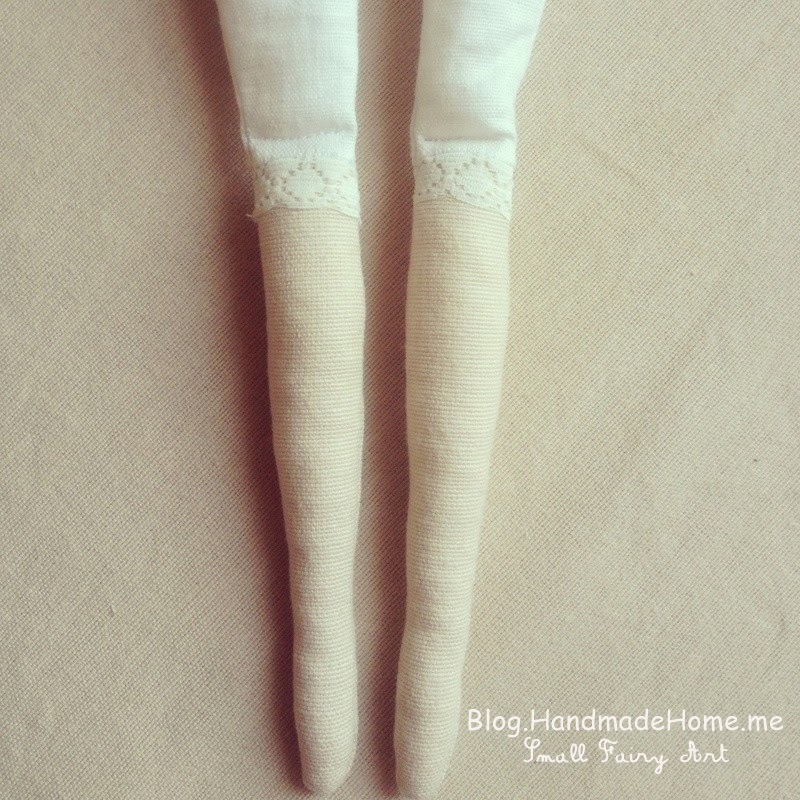 Now we need to make the knees. 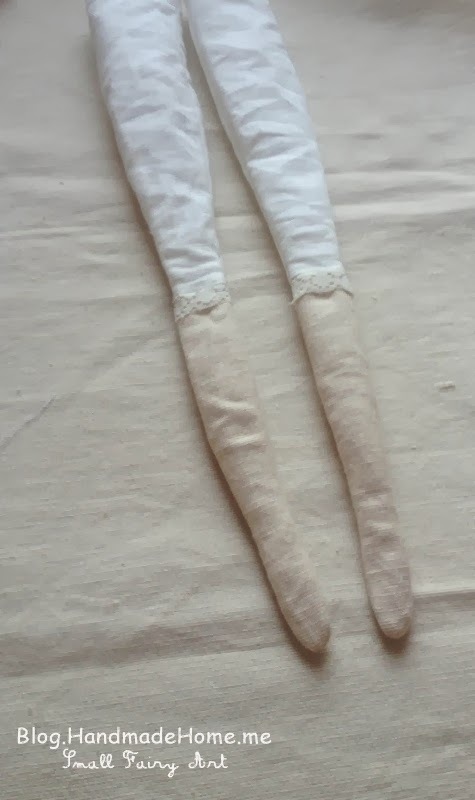 Fill the legs with hollowfiber below the knees. 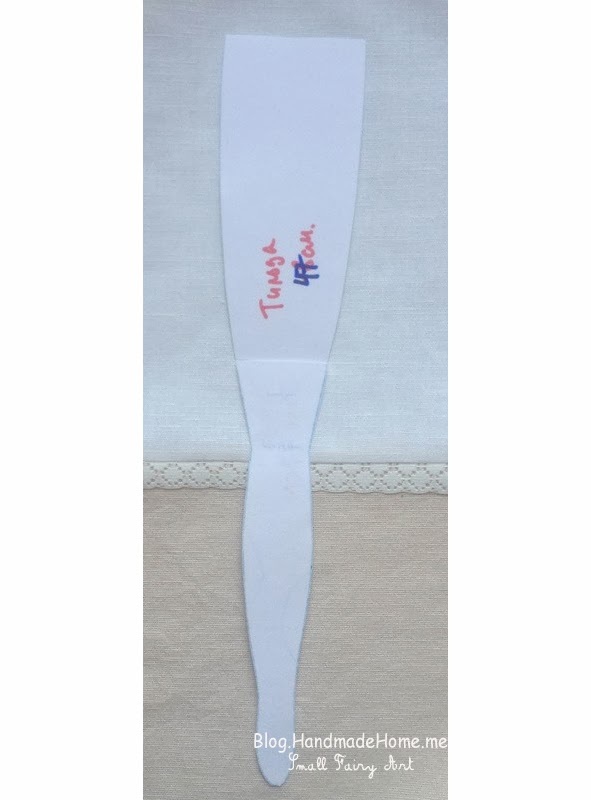 For filling process is comfortably to use the same stick. And mark the knees lines with the pins. 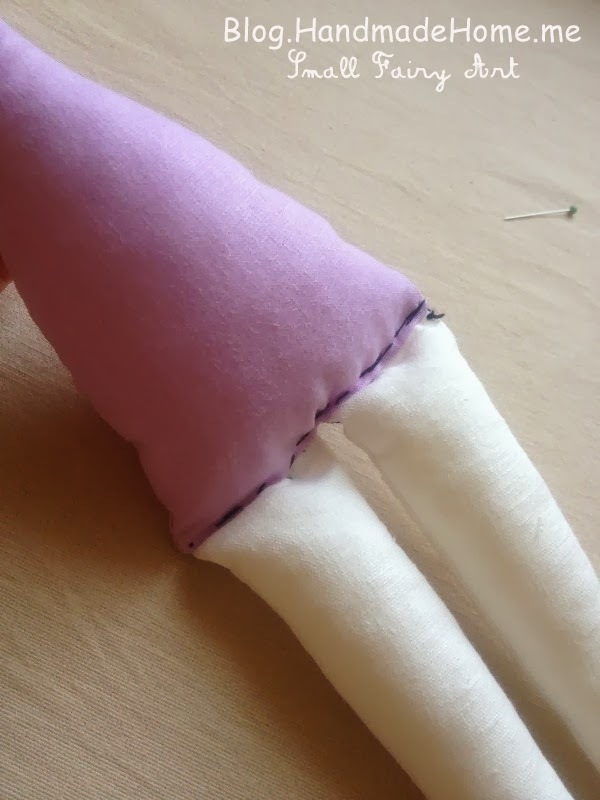 Fill the top part of legs. 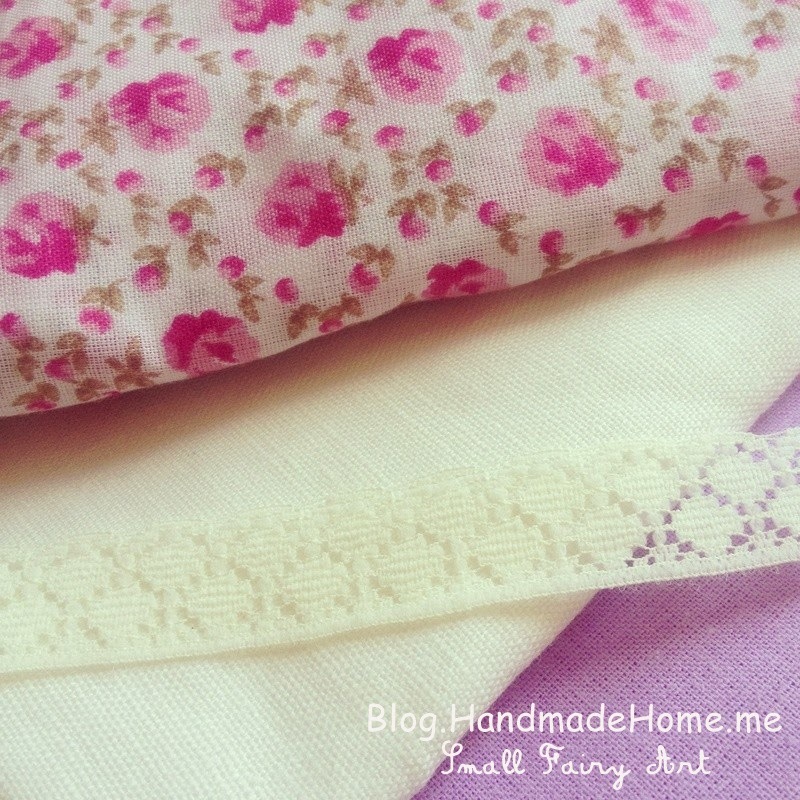 Transfer the pattern on folded fabric in half and sew together along pattern lines. 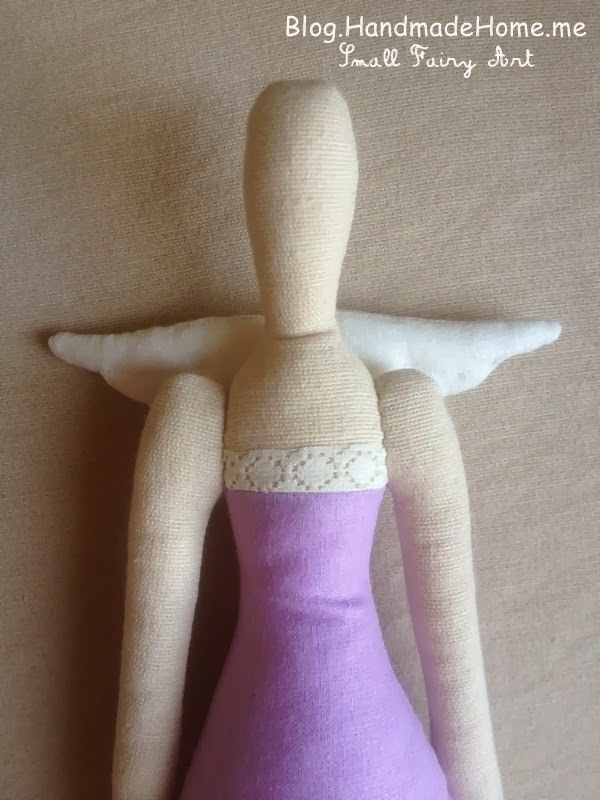 Turn out to the front side and fill with hollowfiber hands and body. 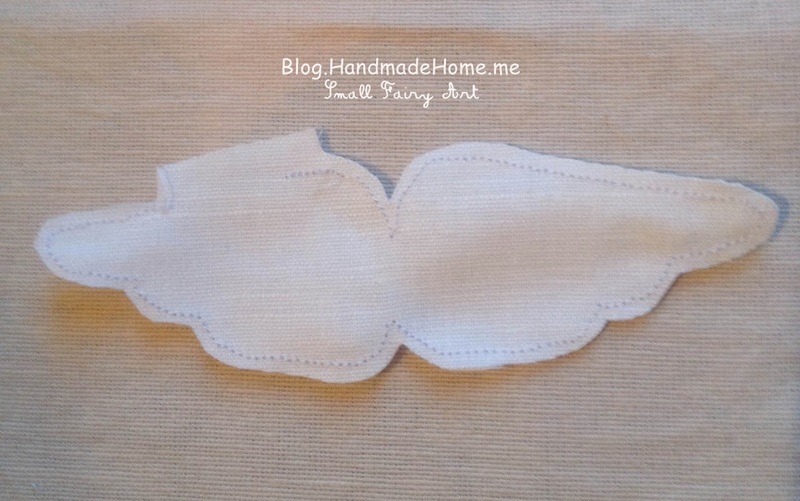 Transfer the wings pattern on white fabric. 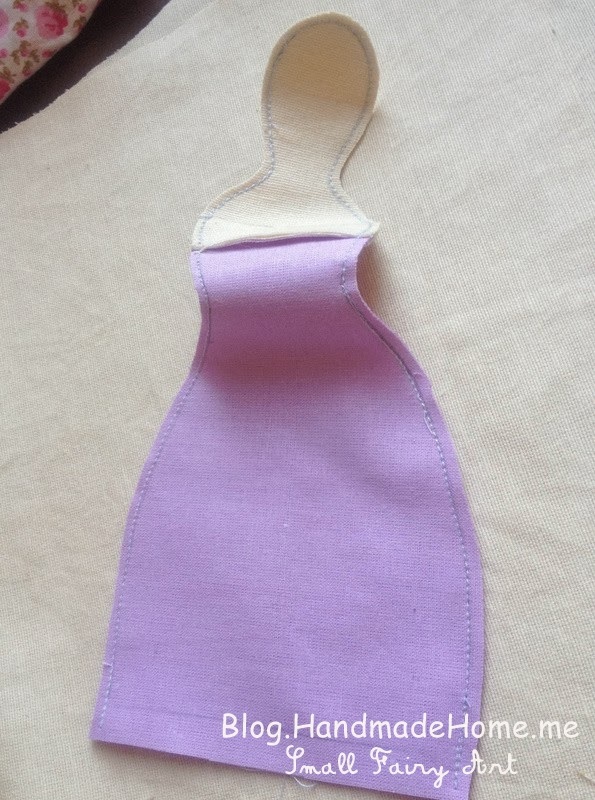 Sew together at pattern lines, but you must to leave a small hole for turning, and cut out. Now fill with hollowfiber from that hole. 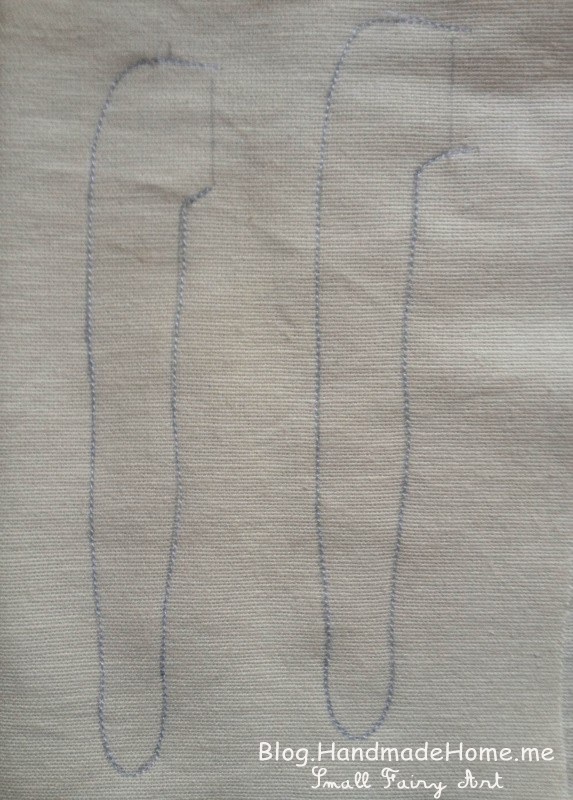 And sew the hole closed by hand. 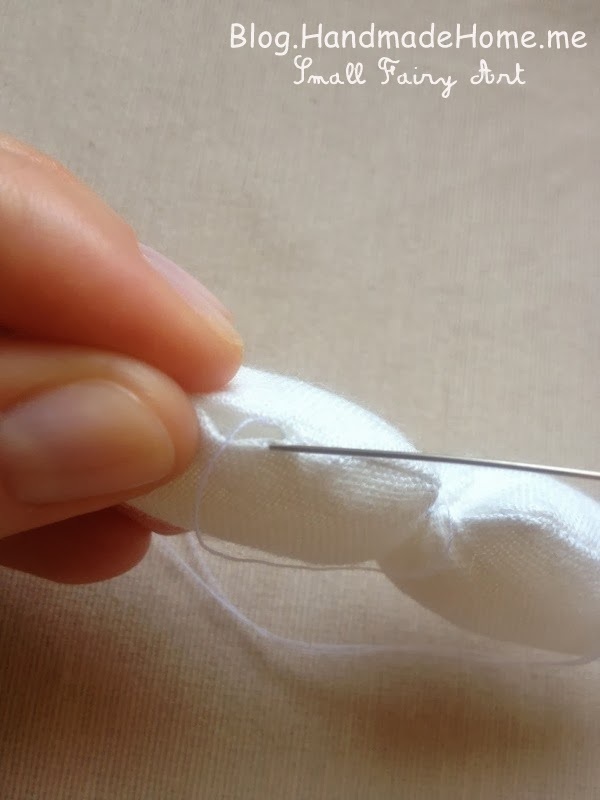 Sew together and remove a temporary joint. 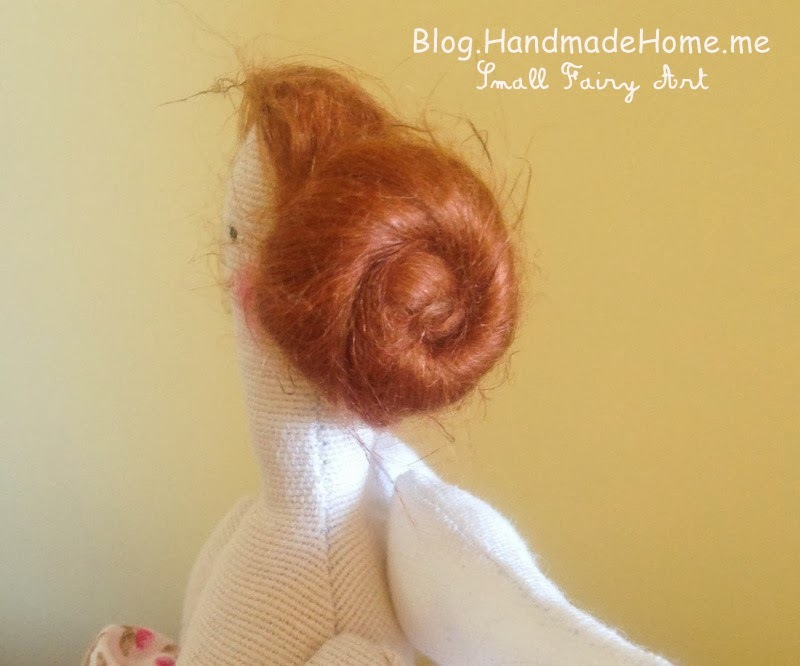 And sew the wings to Tilda’s back. 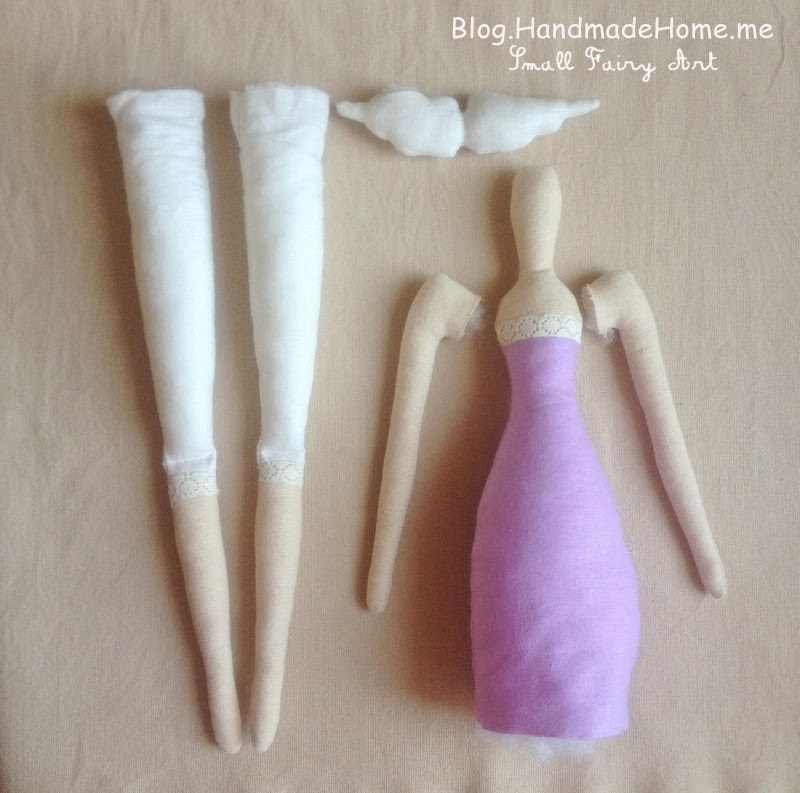 Now assemble the skirt and petticoat fabrics and lace. 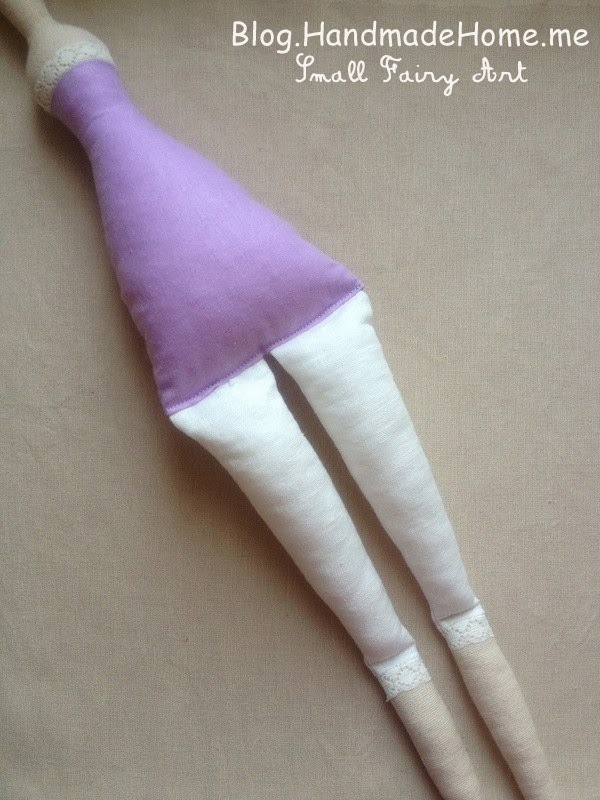 Take the Tilda doll and choose the length of the skirt what you like. 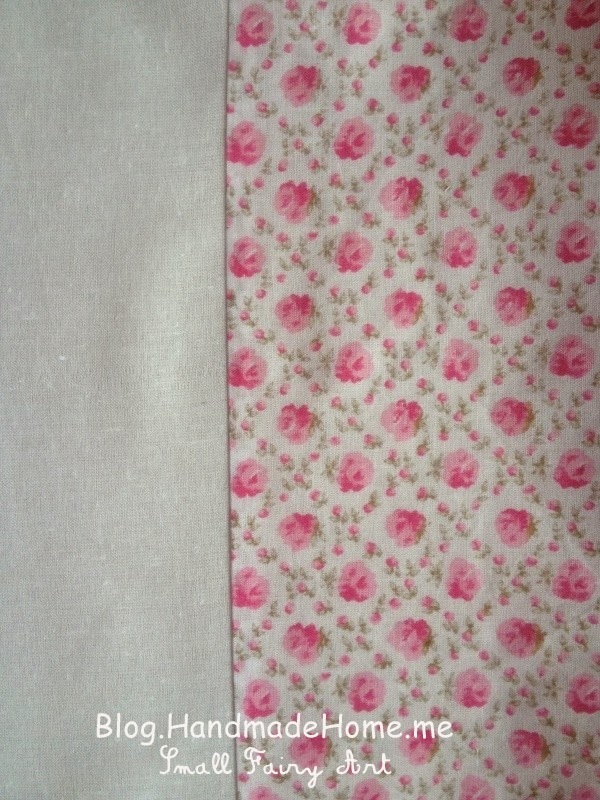 Now cut the square pieces of both fabrics. 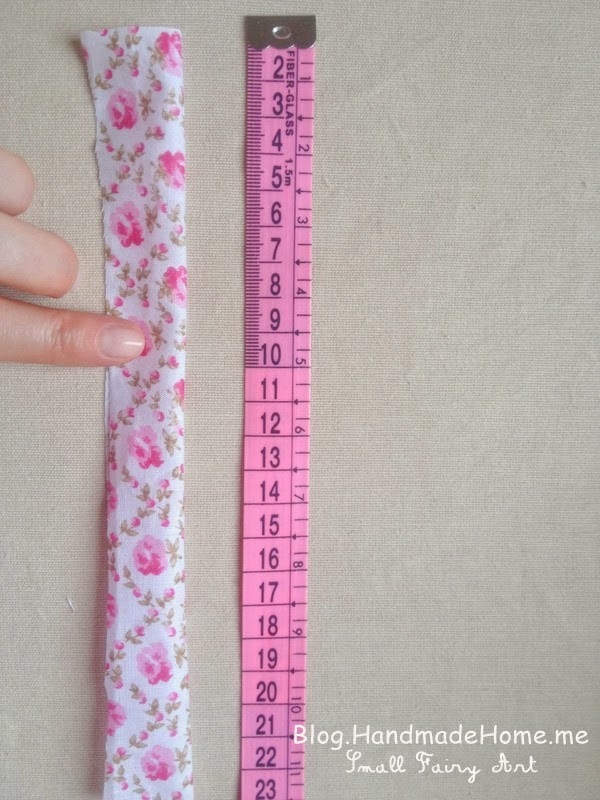 Width equal is the length of skirt plus 2 cm (1 inch) and length 40 cm ( 16 Inches). Next turn under one long edge of skirt and sew. 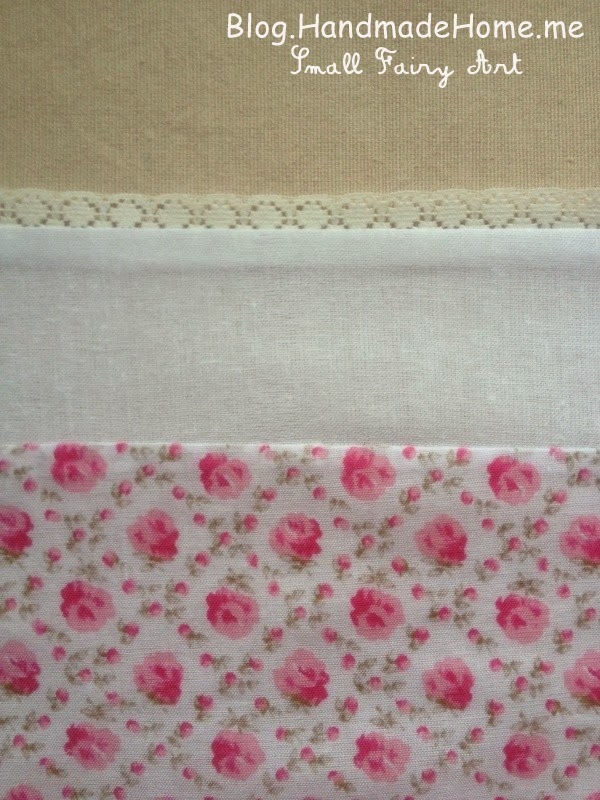 Sew together petticoat and skirt fabric pieces along the long side. 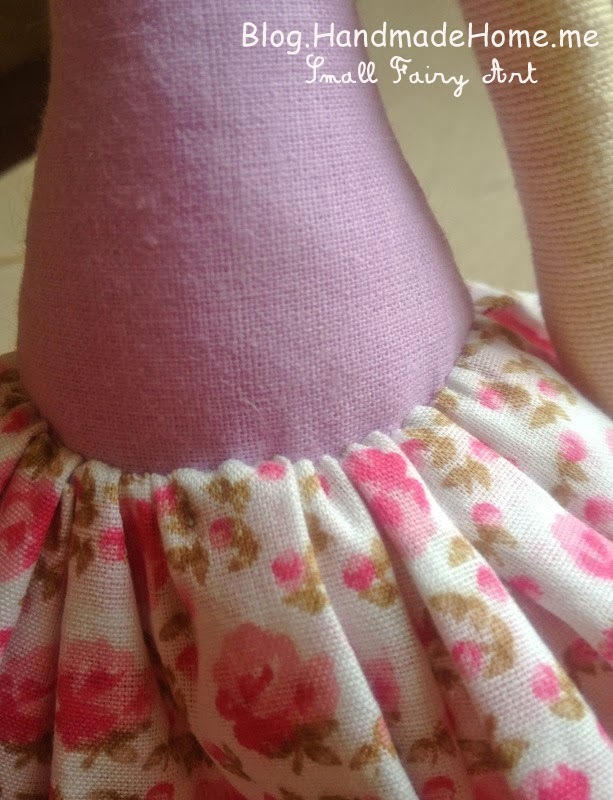 You need to position the petticoat seam side upside from one seam side but position the skirt is front side upside from the other seam side ! 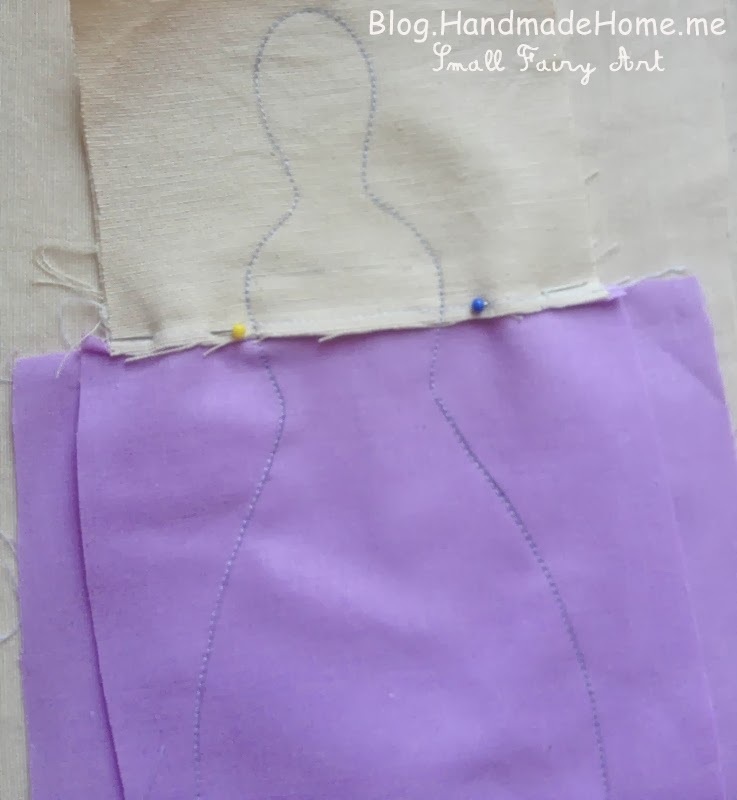 Make a gathered skirt with the needle and thread. 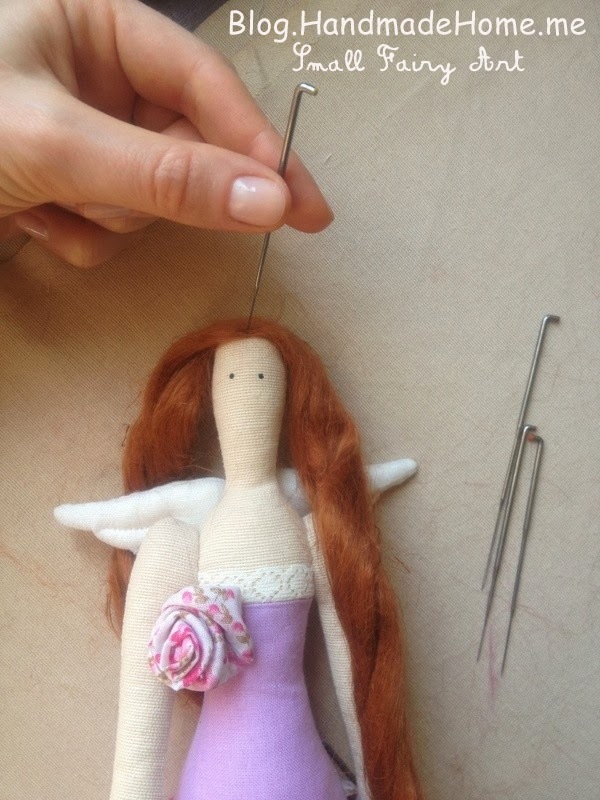 And place the skirt on the hips. 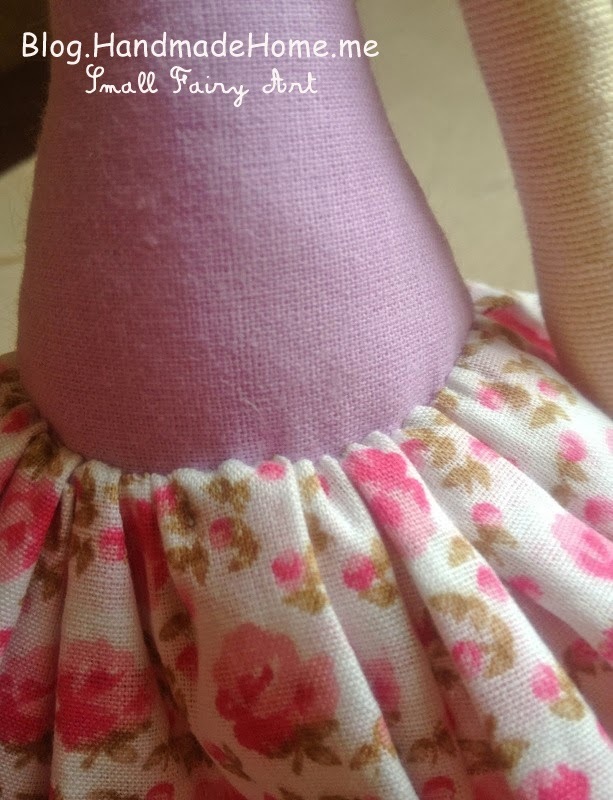 Sew together the skirt to the body. 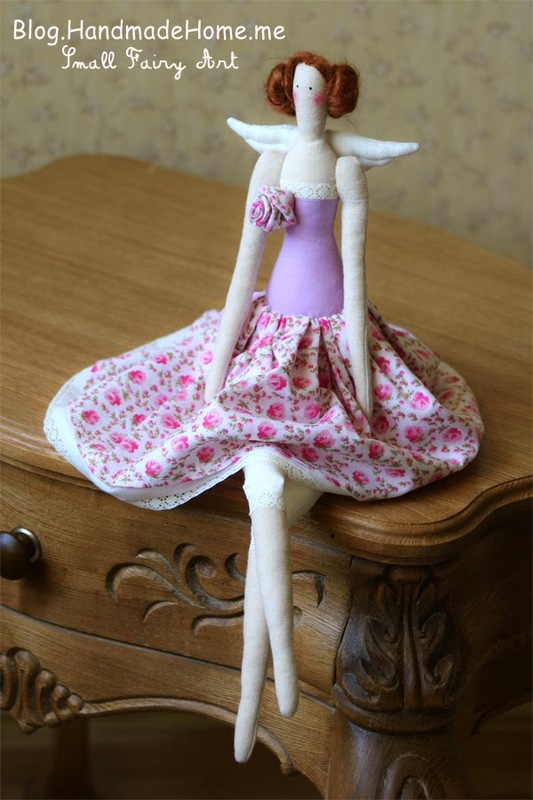 Tilda has got a skirt! 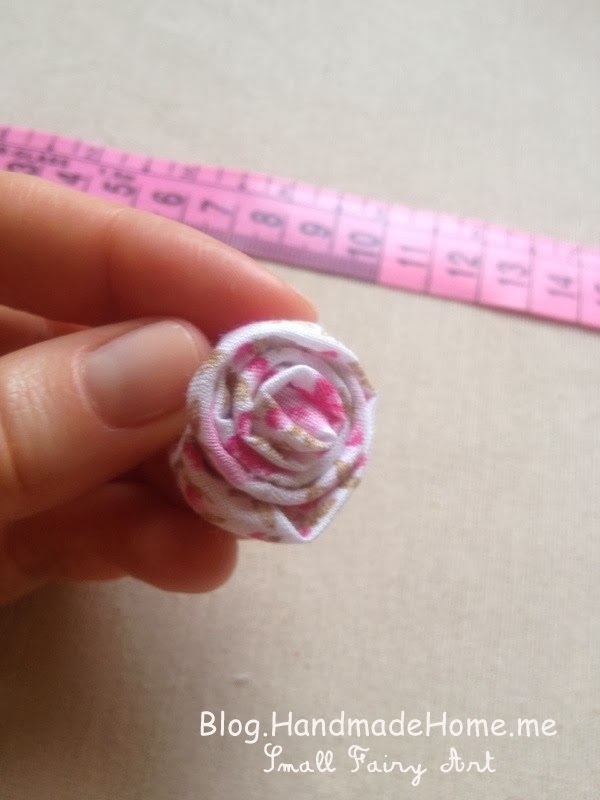 I offer to make an accessory in the form of a rose. 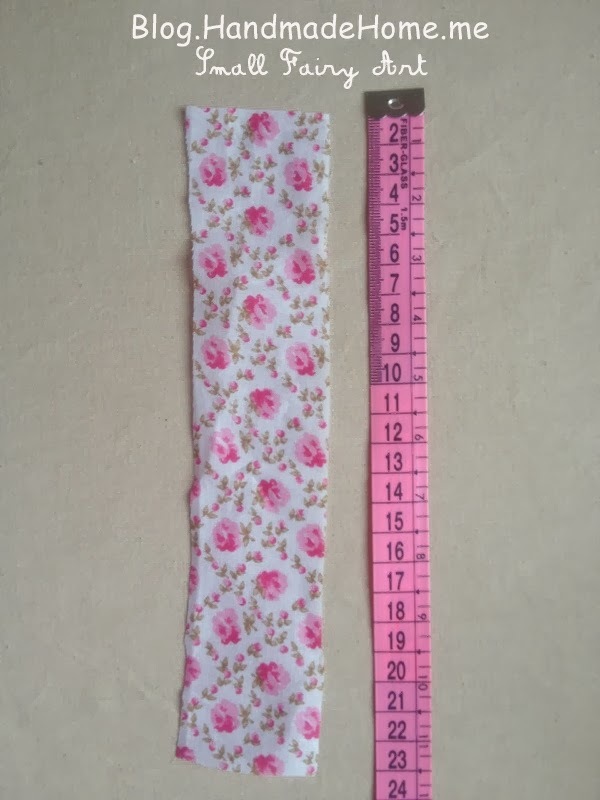 For the rose I use the same fabric like for skirt. 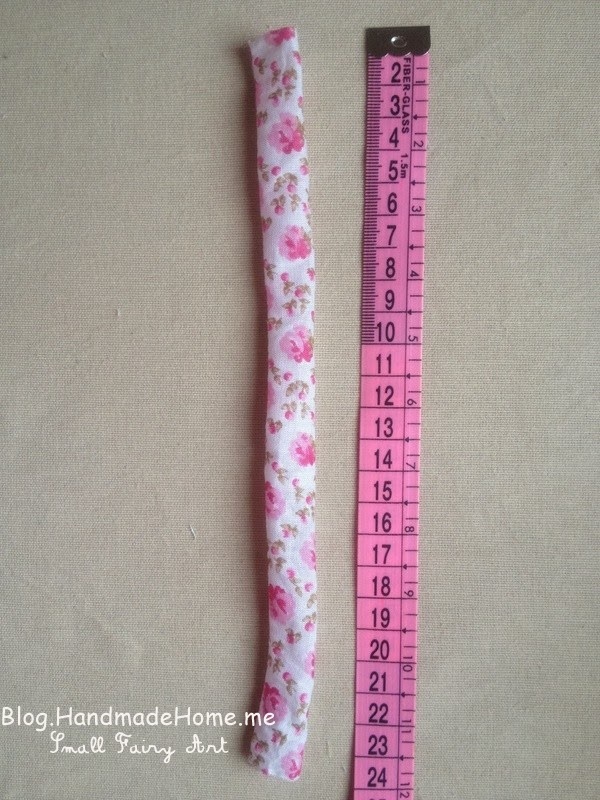 Cut the rose printed fabric piece 23 cm (10 Inches) length and 5 cm (2 Inches) width. Fold in half the seams turned in and sew. Turn out on the front side. And now we begin to forming a rose. Fold the corner and twist, fold the corner and twist again ... etc. As result you get the rose. 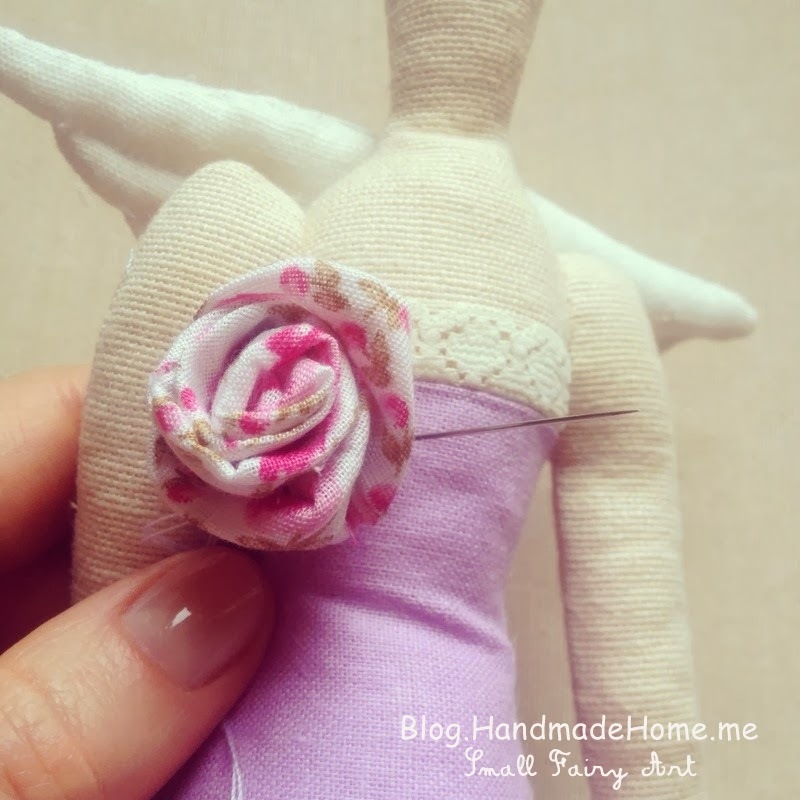 And sew the rose to dress. She chose this color! 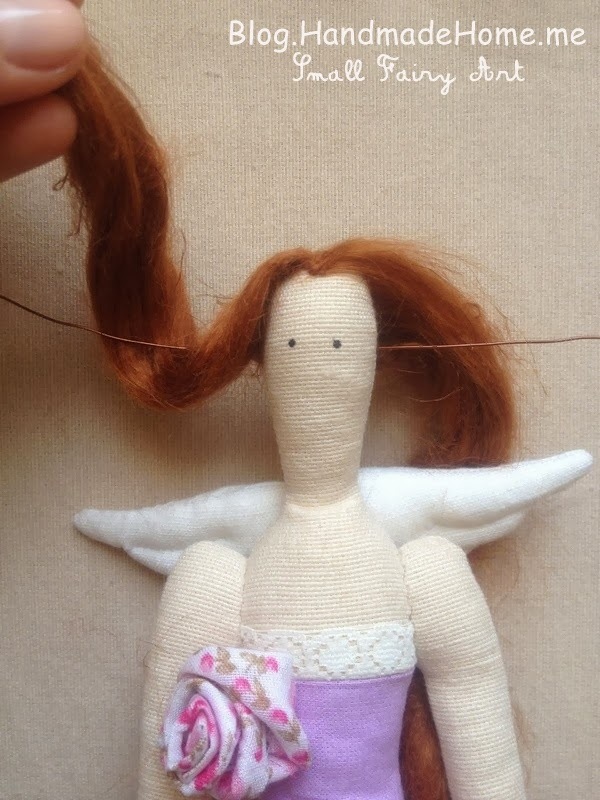 :) As I've said I use felting wool. But if you want you may use a yarn. 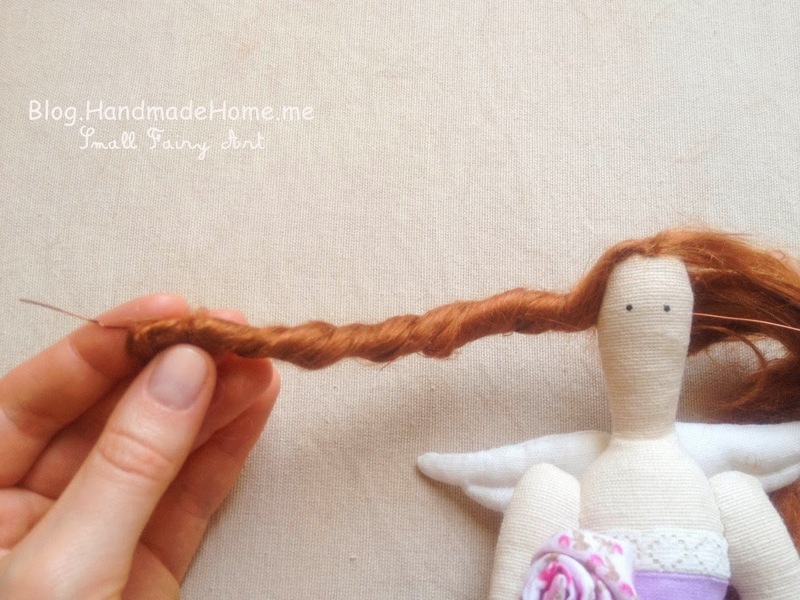 Take a felting wool and choose the hair length. 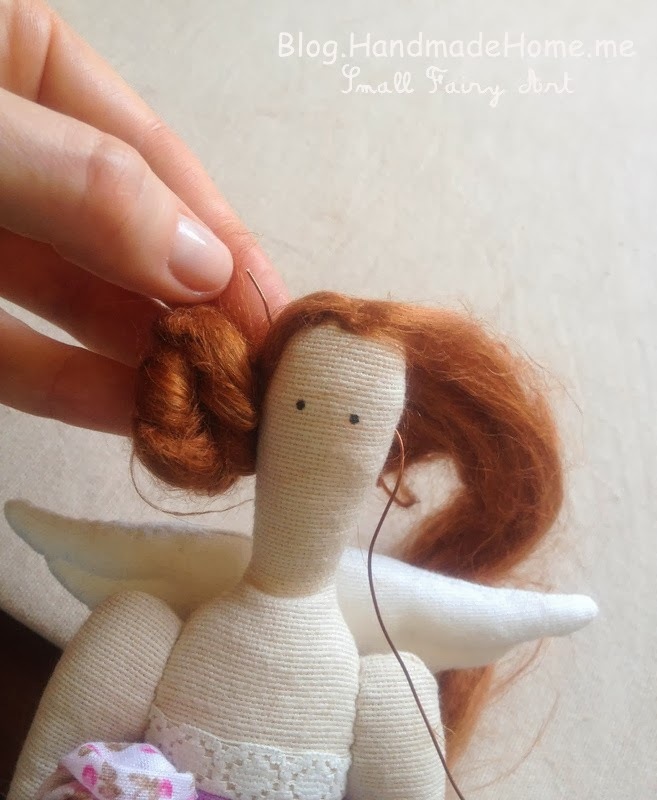 Attach the wool along the hair parting with felting needle. Now hair should be securely fastened. 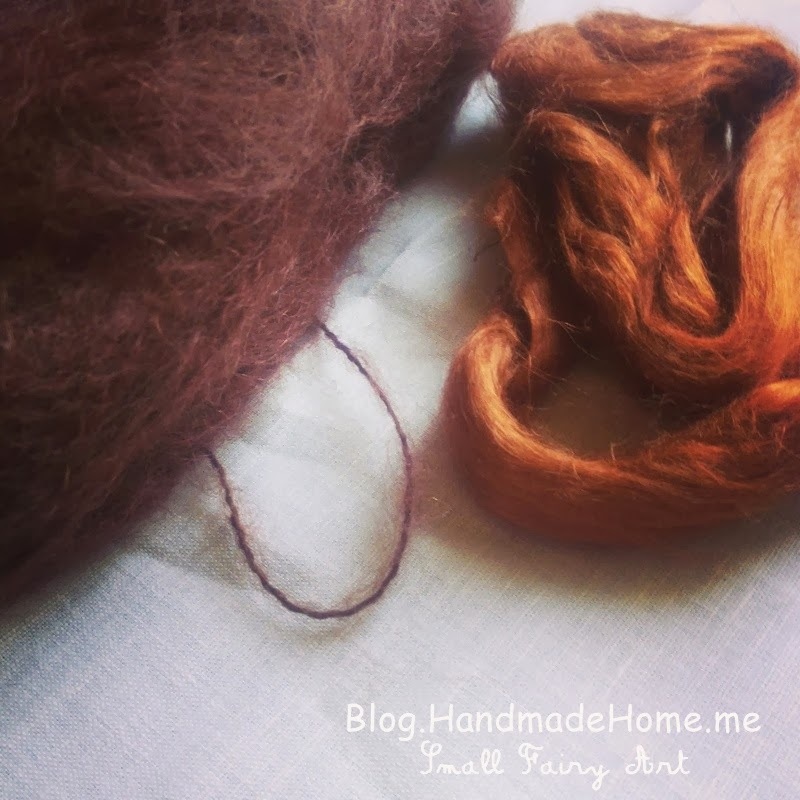 Make a thread of some felting wool. 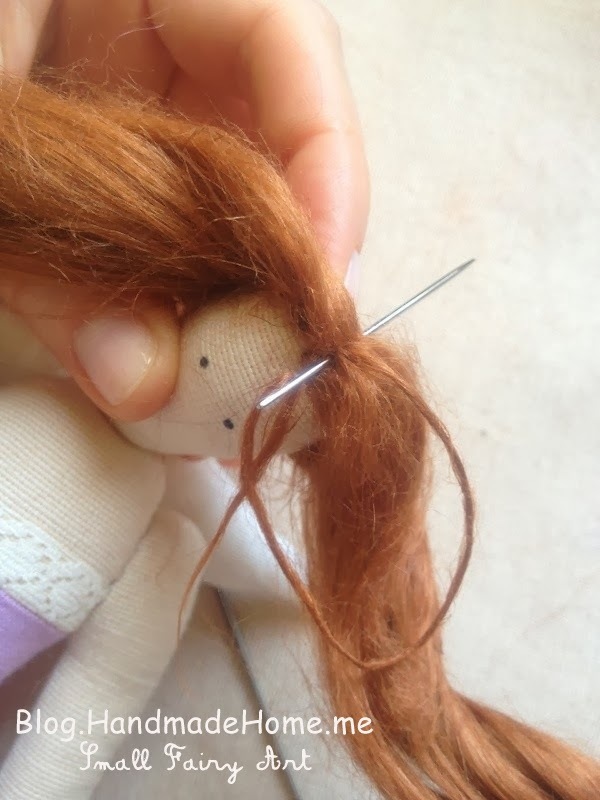 Insert this thread into the needle and sew along the hair parting. Insert the wire into the needle. And pass it through the head, just below the eye line. Now I begin to twist hair around the wire. So here it is. 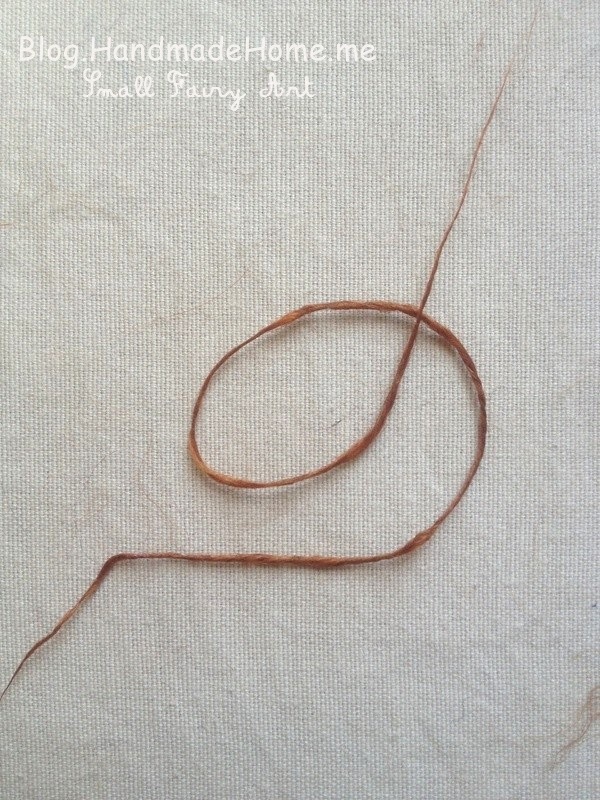 The end of the hair I bind with thread. Now I take hair and twist them in circle form. 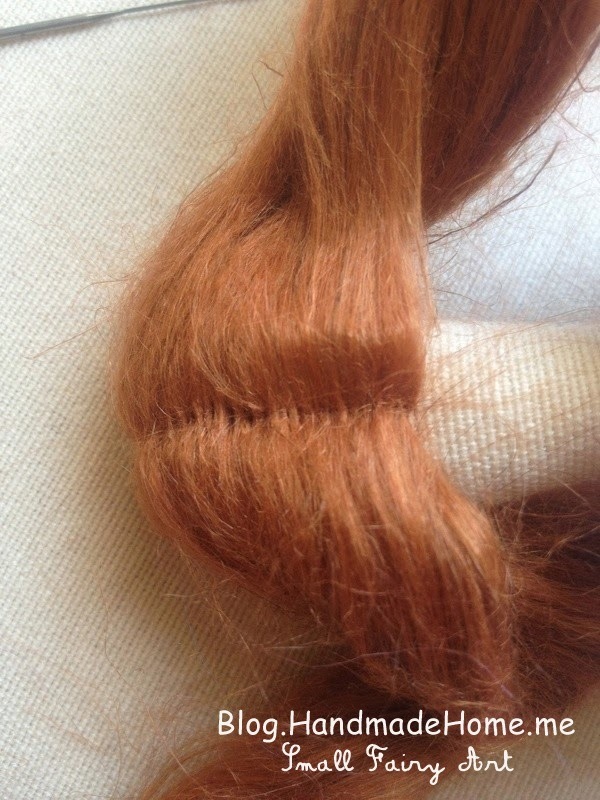 The remaining end of the wire wrap around the beginning of the hair, tuck in & secure. Tilda’s look from the side. And the final touch. Powder the Tilda's cheek with rouge or use pastel pencils! 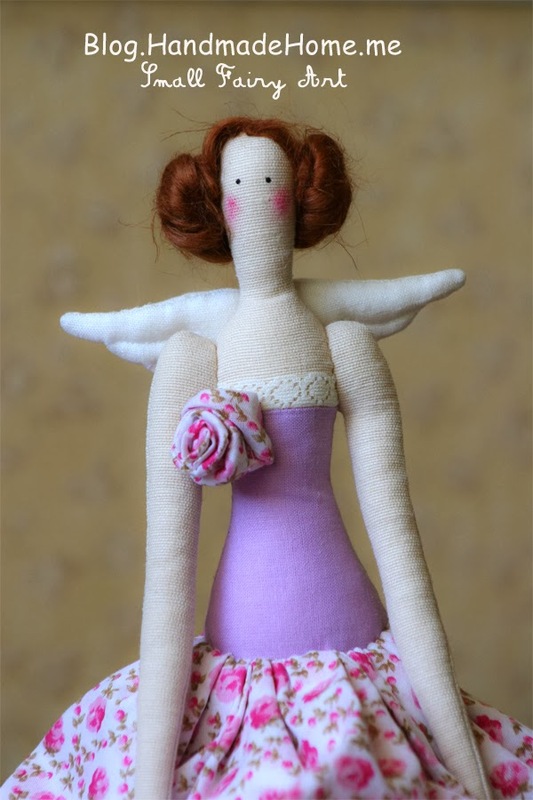 The Tilda Angel is ready! Thank you for your attention! I hope that is useful for you! If you have any question feel free to leave that on comments. 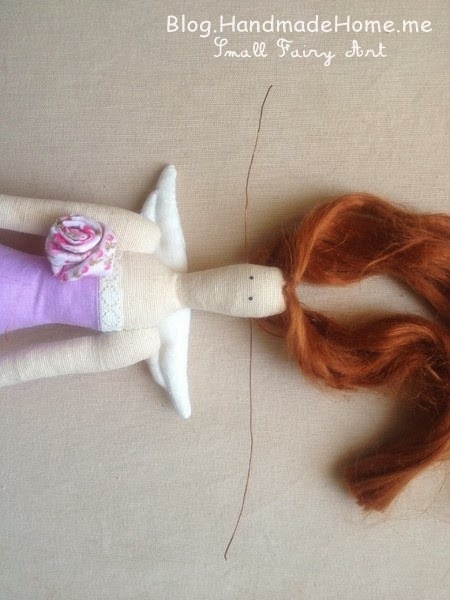 This is the most beautiful doll I have ever seen! Thank you so much. I'm off to go find me some fabric. This will help me so must . Thank you for sharing with others. Can you say what the original measures? Good post. Thanks for sharing this post with us. conjointly associate with totally different costs.ethnic bracelet Indeed, stone bracelets will offer anyone a chic and enticing look. Botanist In Love Jewelry - Coming Soon!